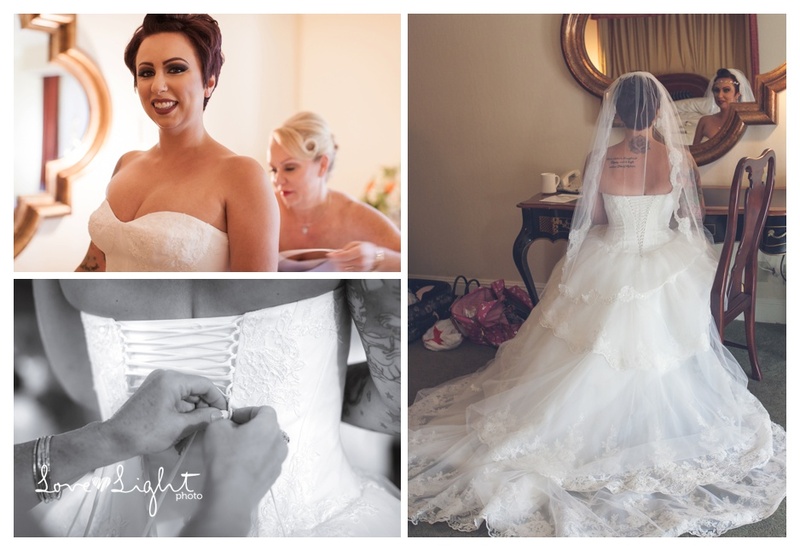 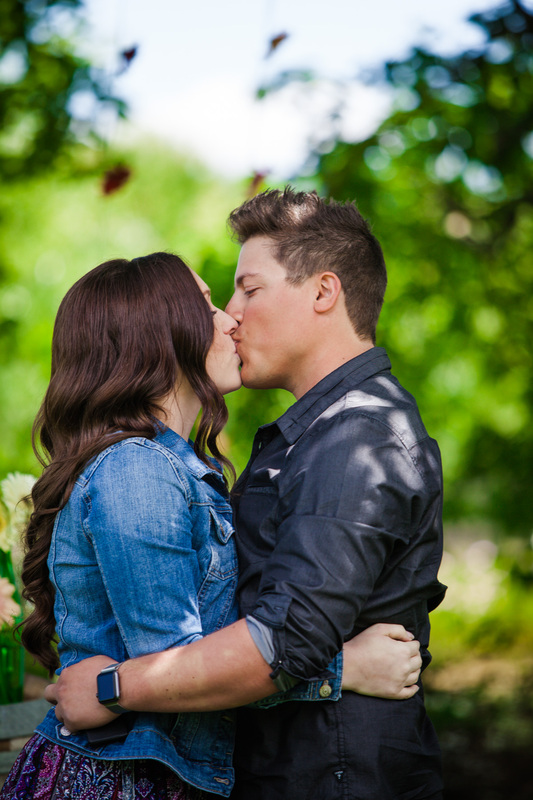 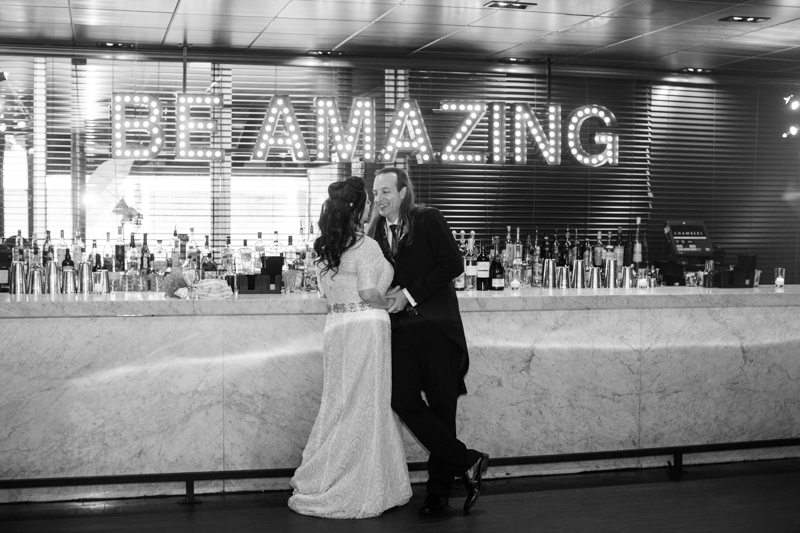 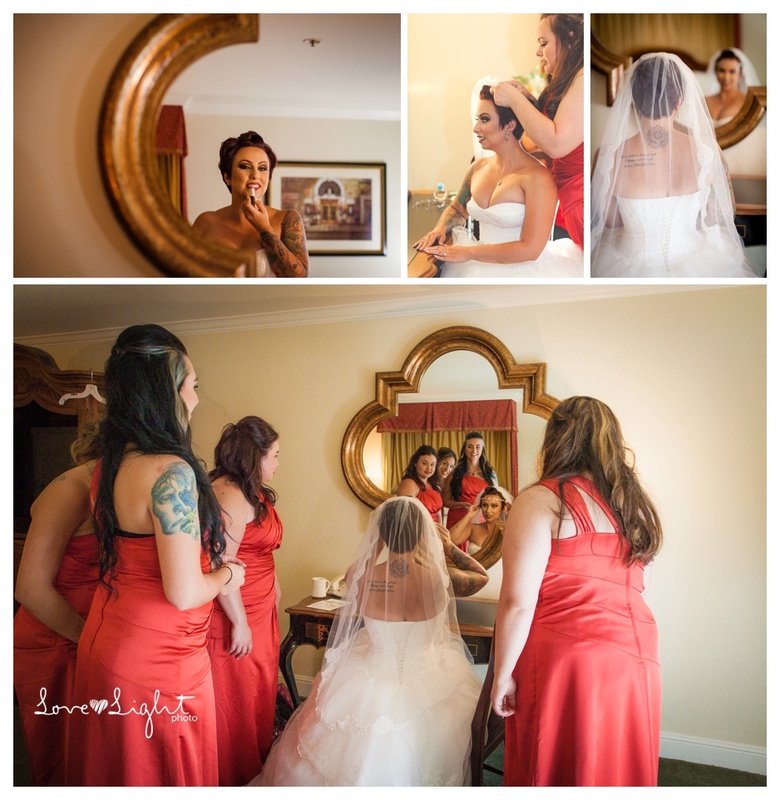 Their beautiful day started at the Lafayette Park Hotel, where both Corey and Sarah were getting ready for the big day. 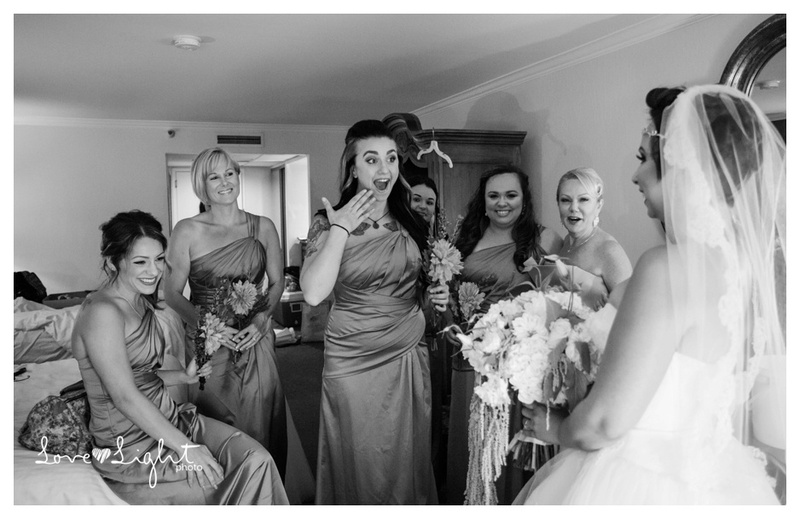 Sarah and her girls were having a fun time getting all dolled up and her mom was there to shed some tears for her beautiful daughter, you could tell how proud she was and it was just a lovely moment before we left the room for some portraits outside. 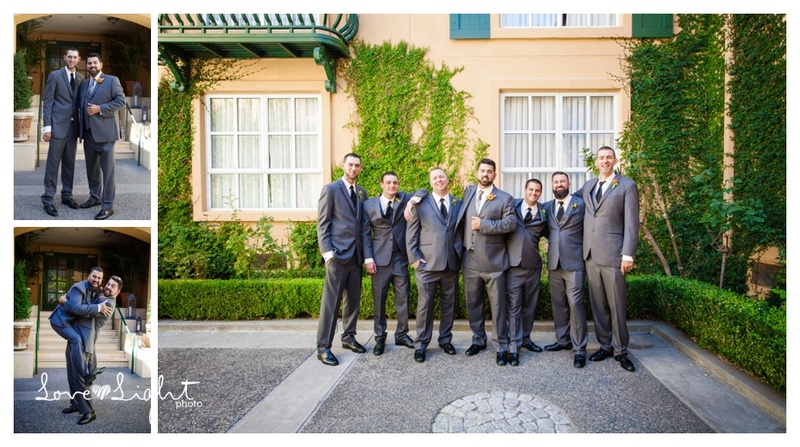 The guys were having fun and keeping Corey relaxed and we had a great time doing the groomsmen shots. 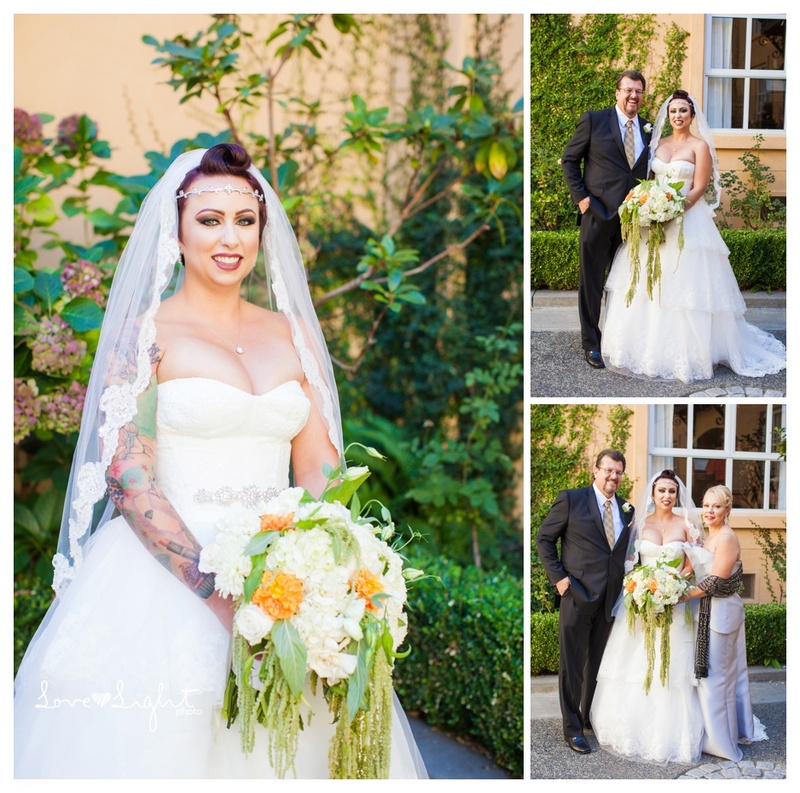 Sarah just looked stunning in her gown. 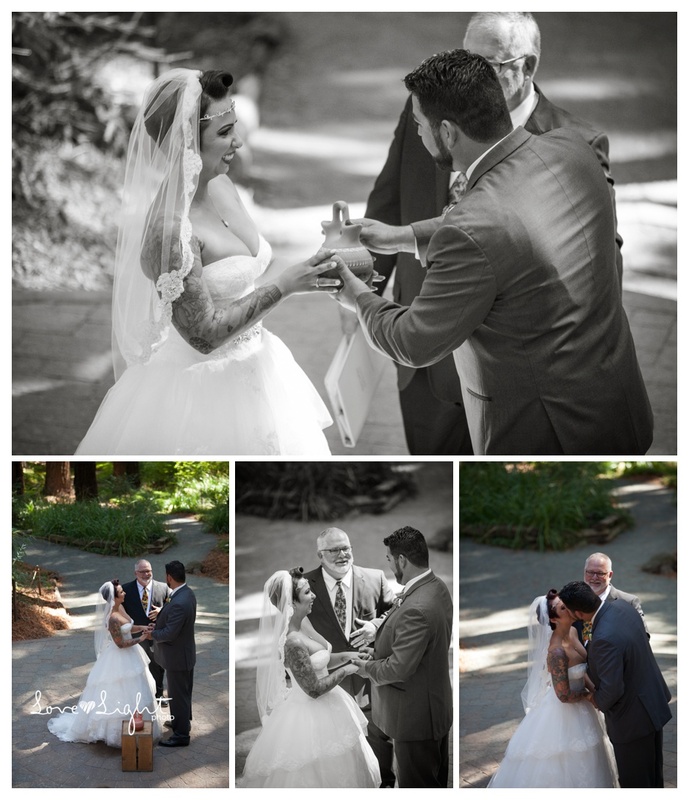 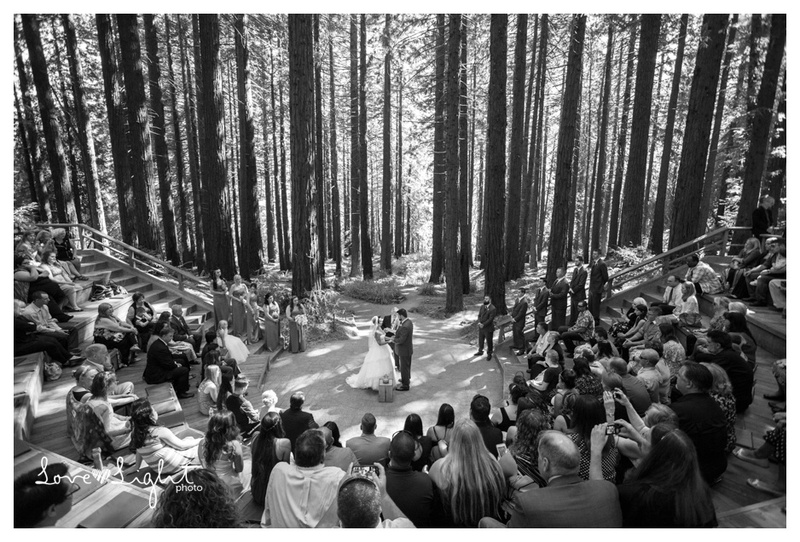 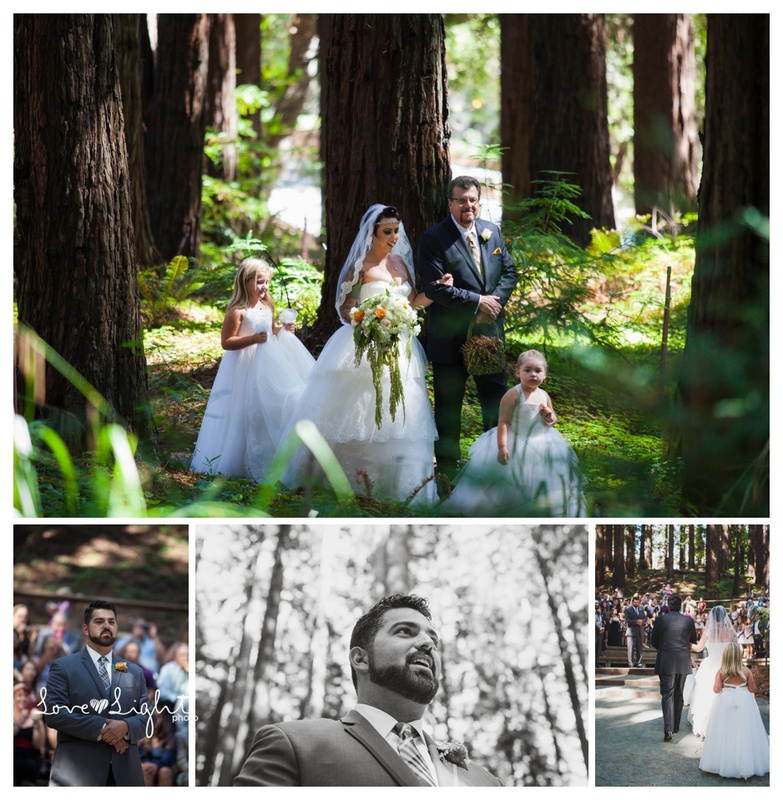 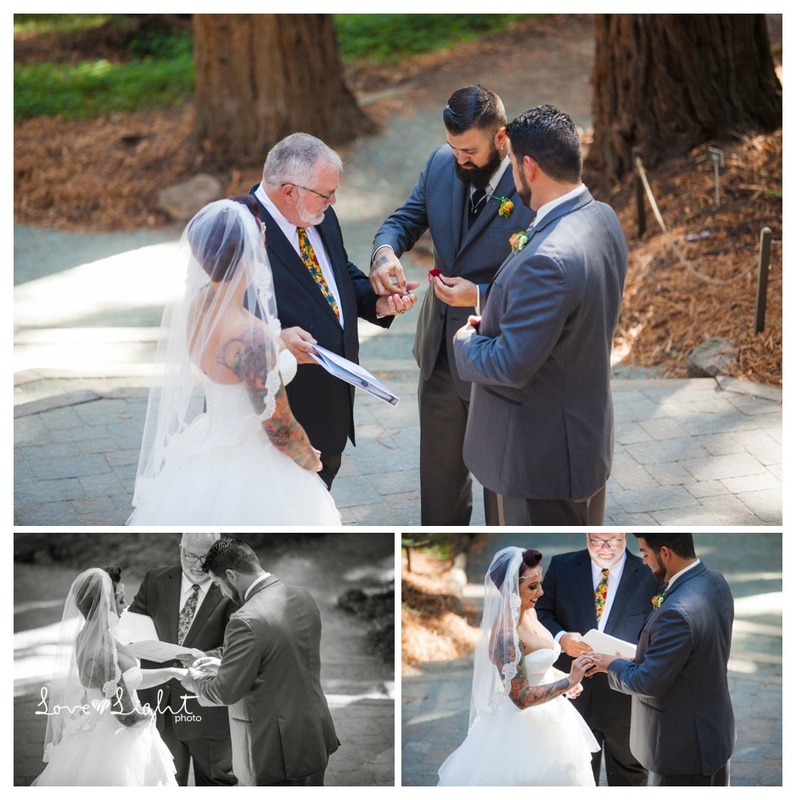 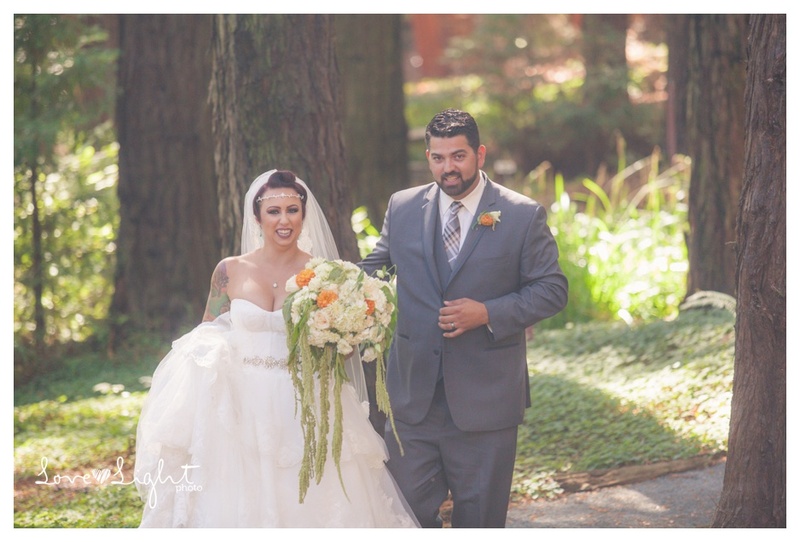 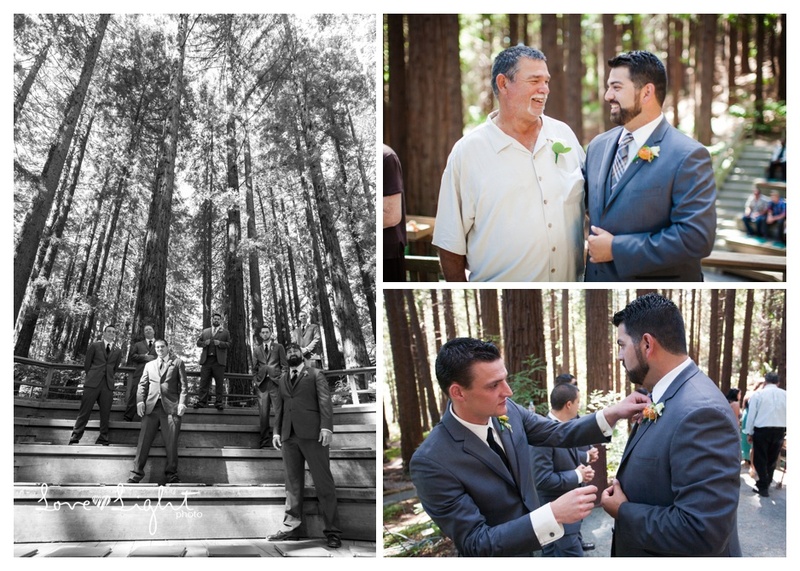 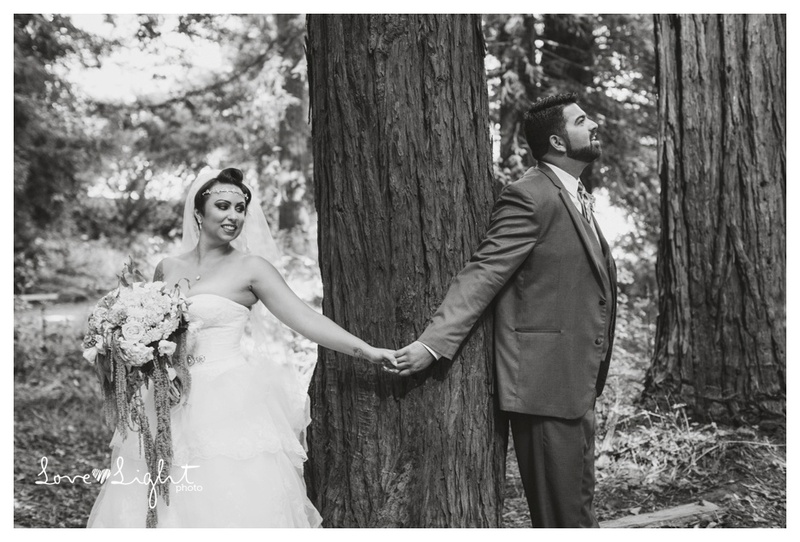 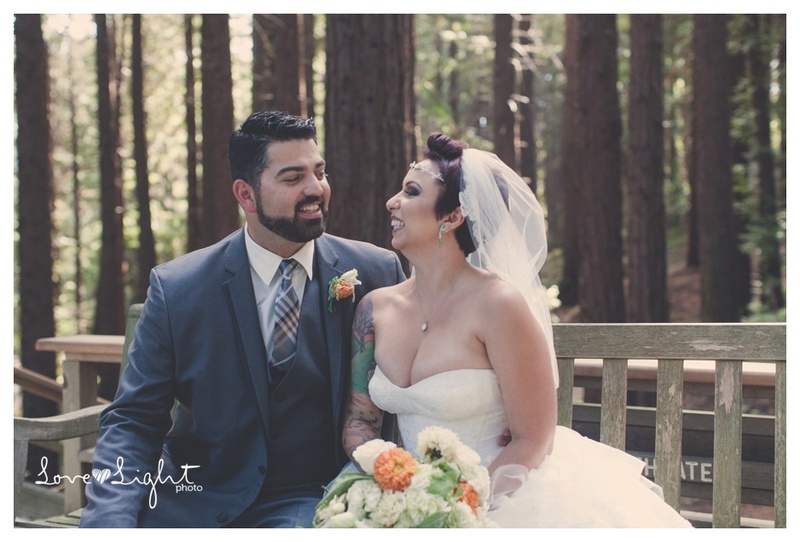 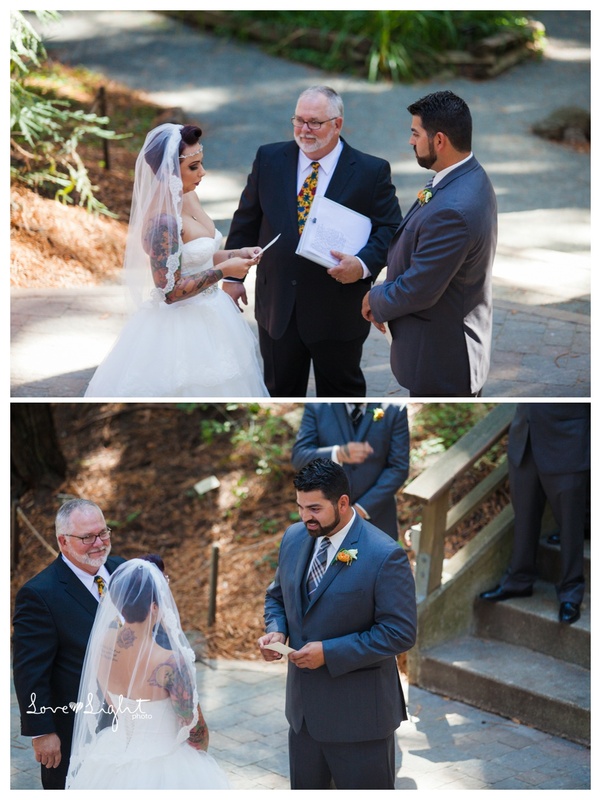 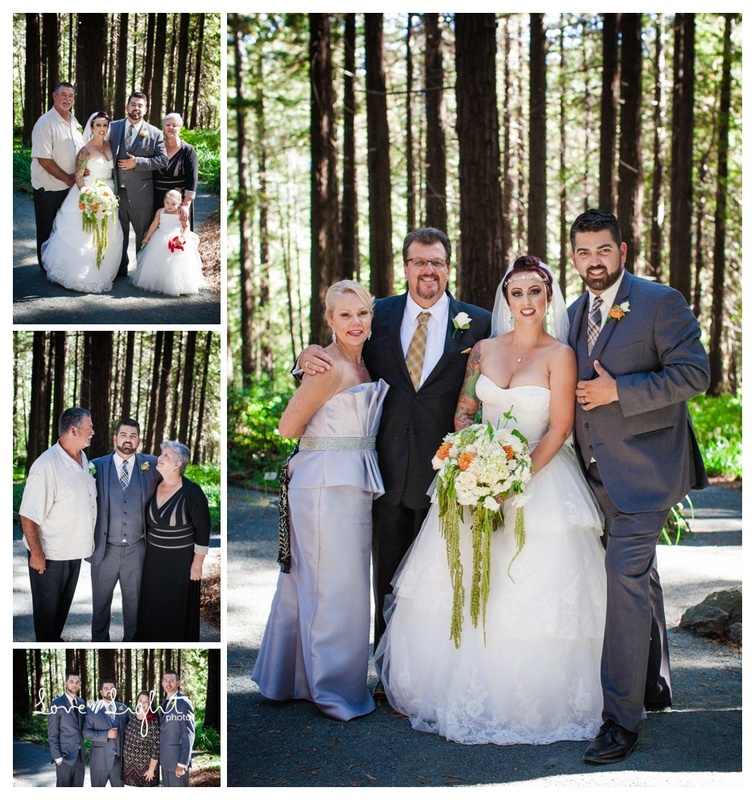 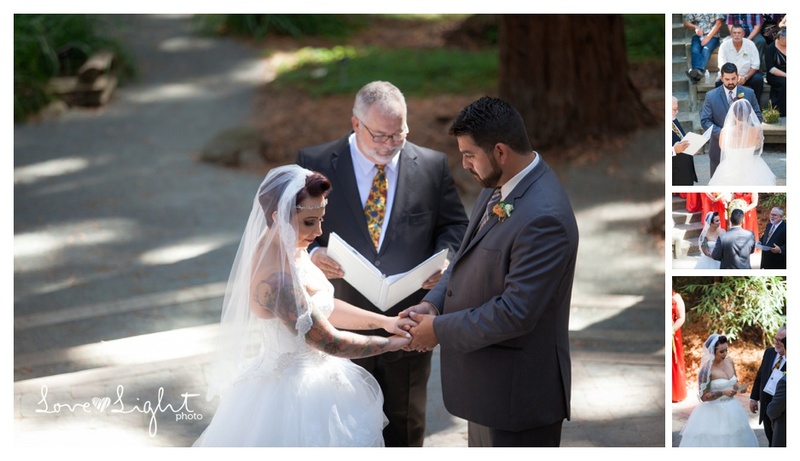 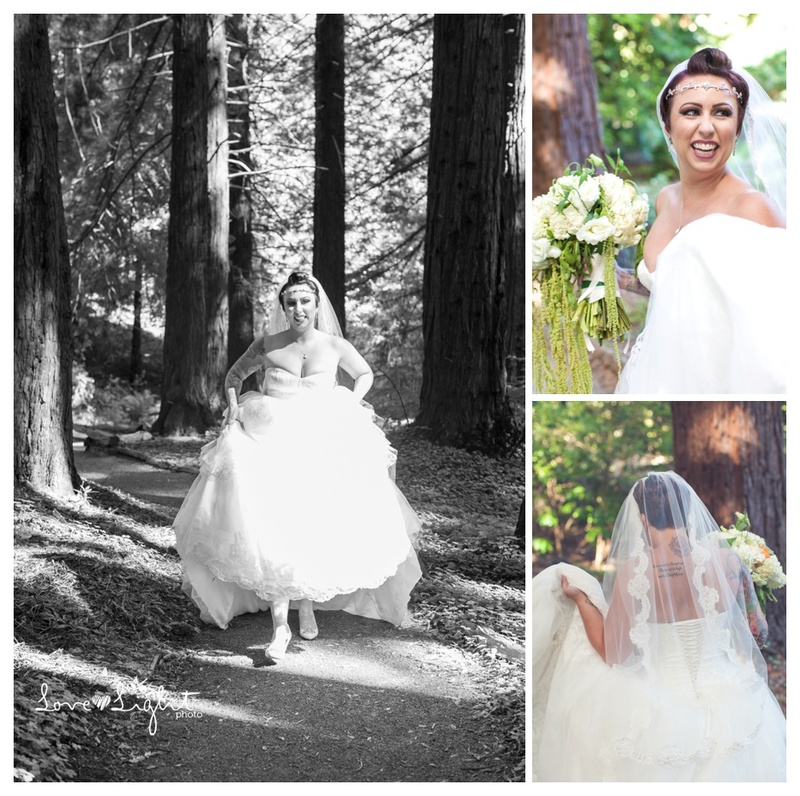 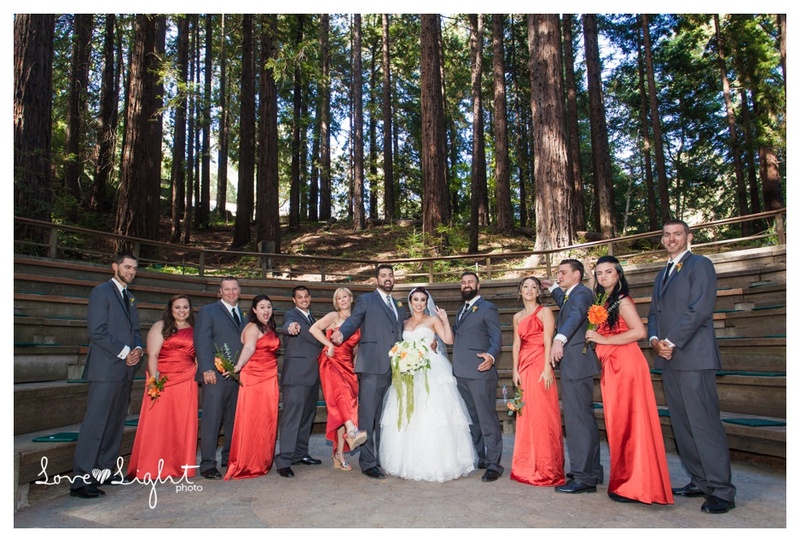 The ceremony was at the Redwood Grove at the Berkeley Botanical Gardens and it was such a majestic site. 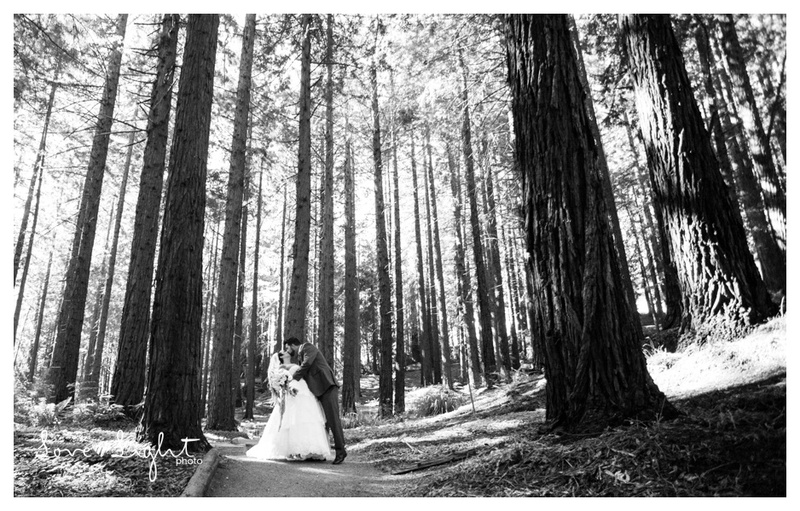 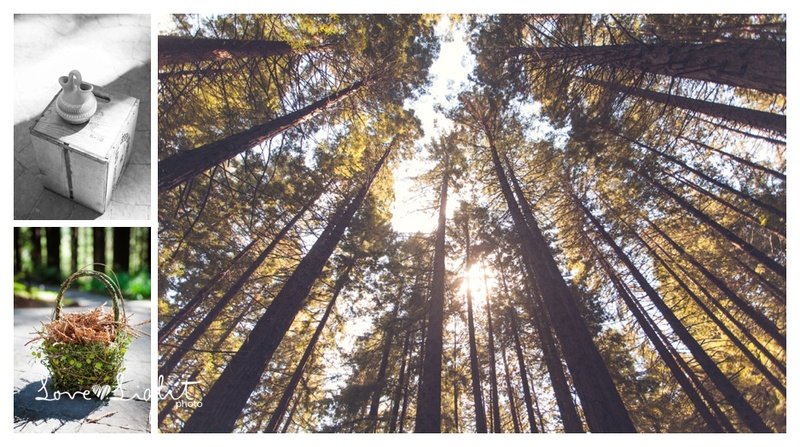 I love the redwoods and they bring such a peaceful calm and the feeling that you are amidst old nature souls. 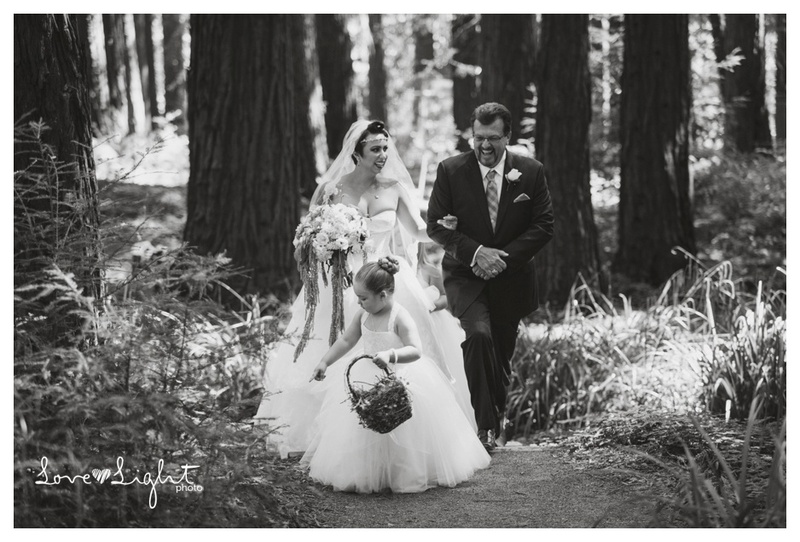 Corey and Sarah’s ceremony was beautiful and it was so amazing seeing her processional to the site with her Dad and flower girls. 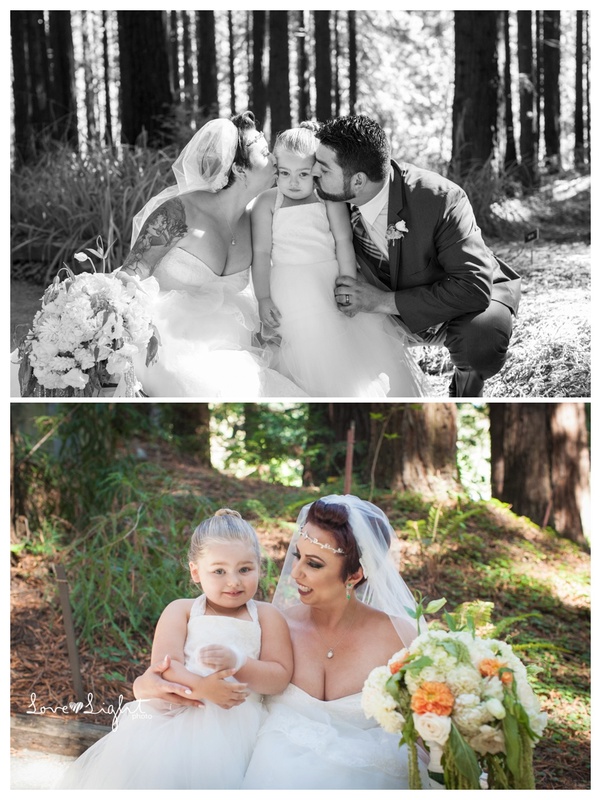 Corey’s three year old daughter, Dakota was one of the flower girls and I caught a sweet moment between father and daughter before the ceremony. 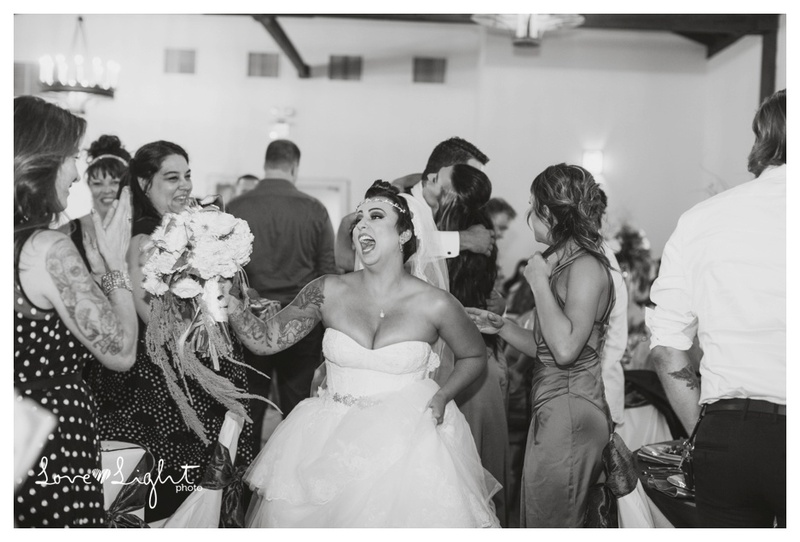 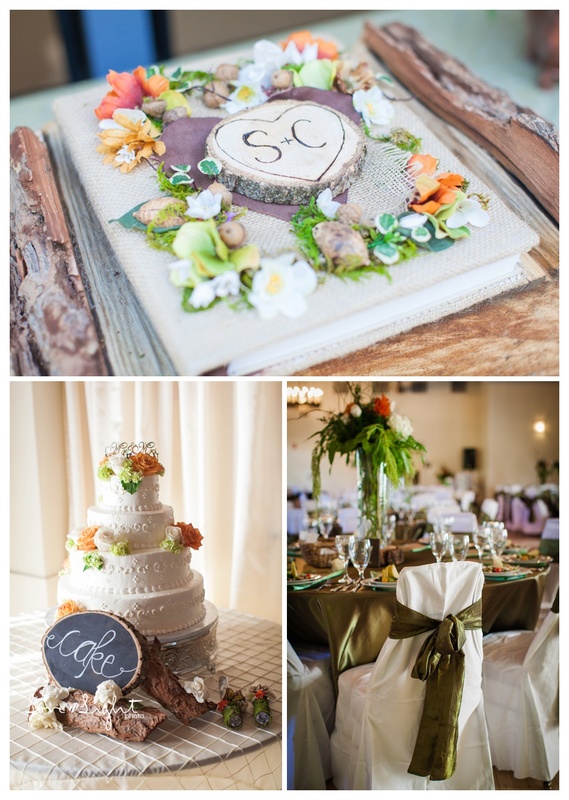 The reception was in Benicia where I captured their gorgeous cake and flowers and first dance before my coverage was done. 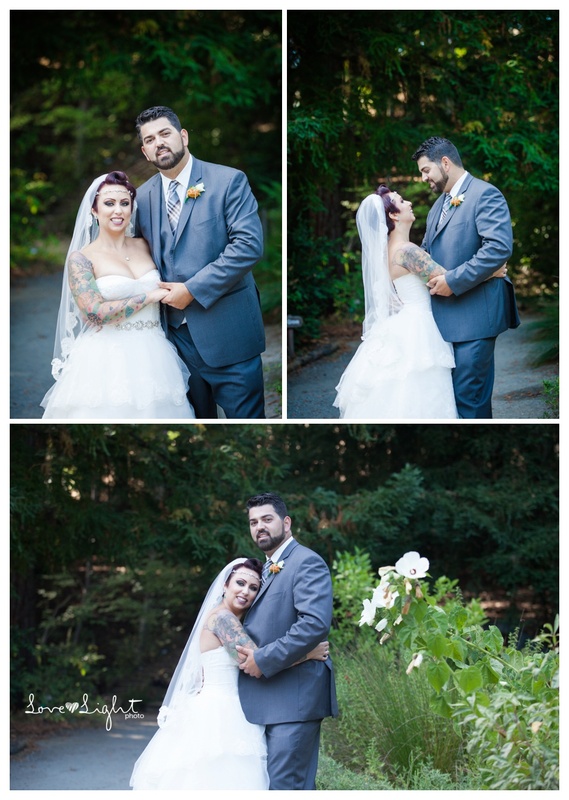 It was a whirlwind day but each site felt intimate and their love was so evident. 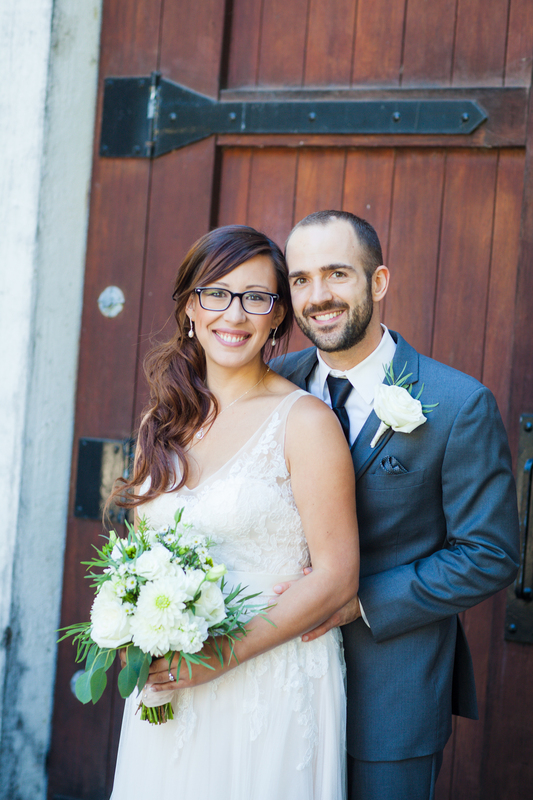 I wish you guys the best!! 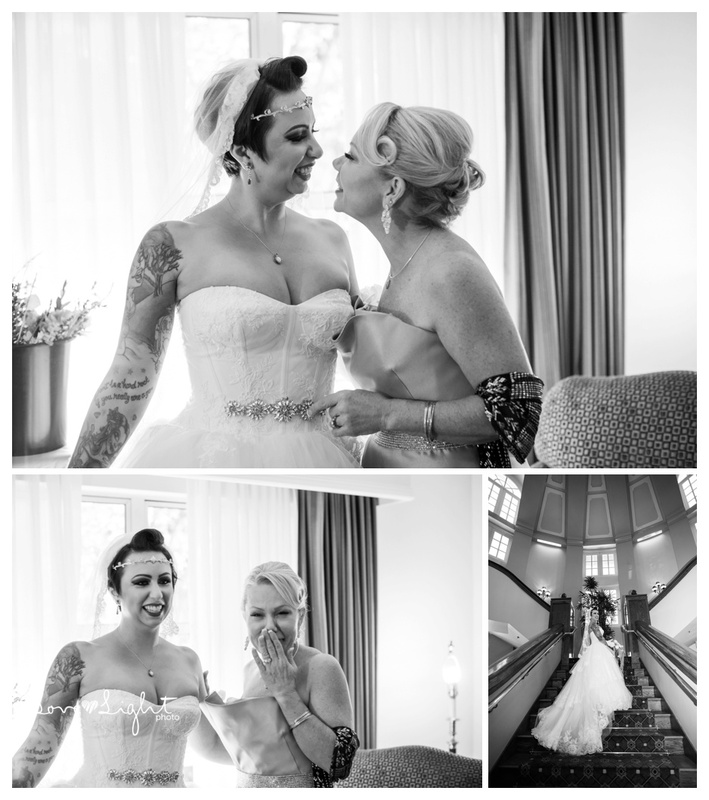 You made a beautiful bride ! 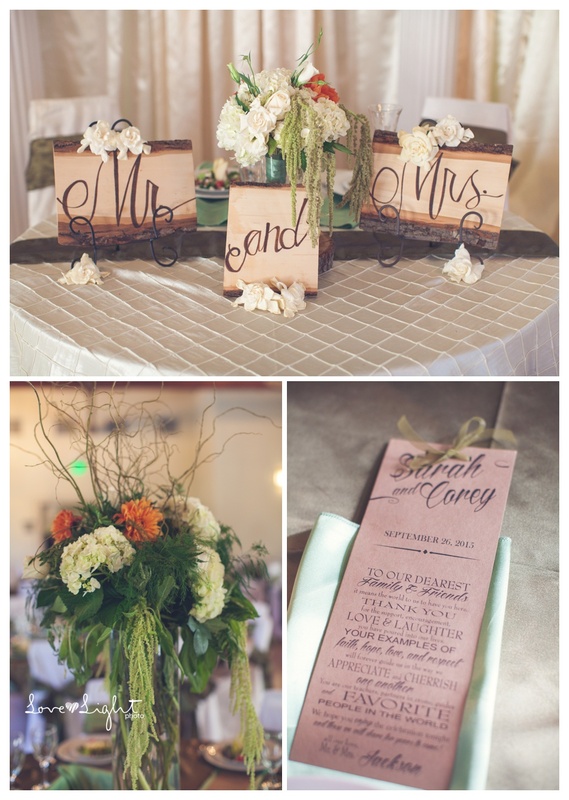 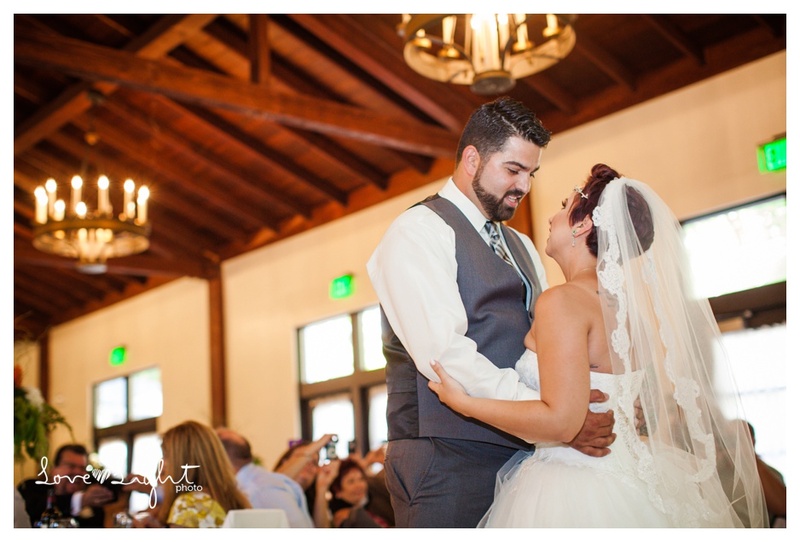 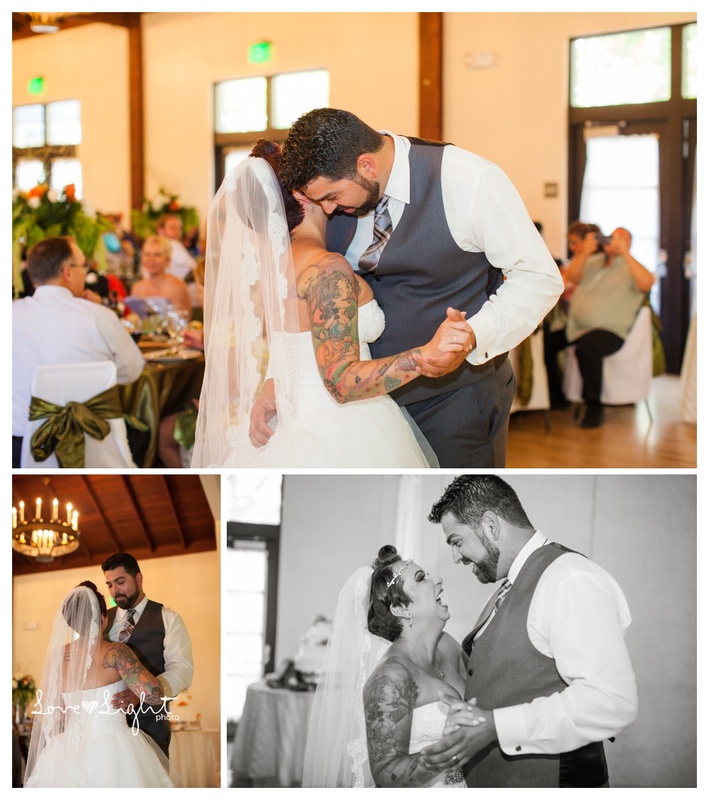 I loved looking at the pictures!! 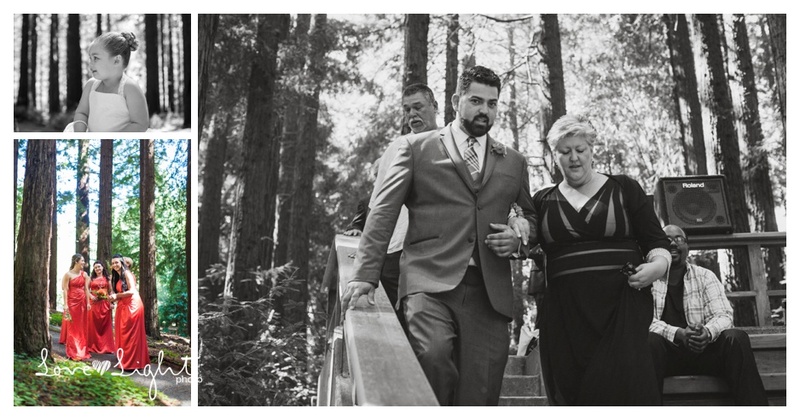 Thanks for making it possible to almost be there.